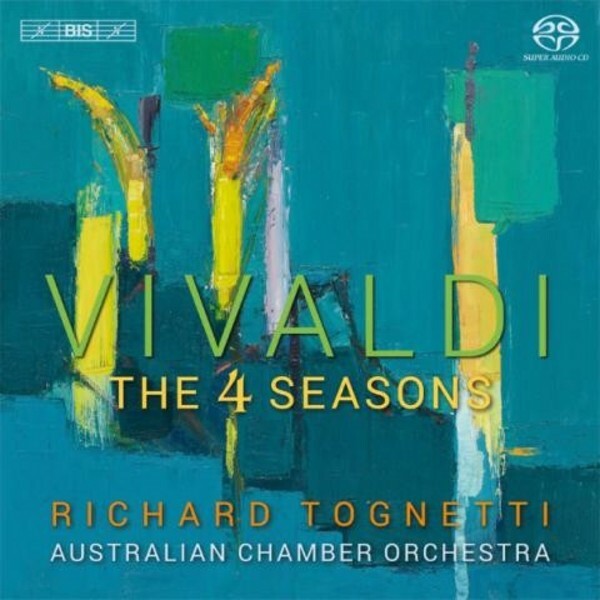 In celebration of the Australian Chamber Orchestra's 40th birthday in 2015, BIS announce the release of a new recording of Vivaldi's iconic Four Seasons, conducted by Artistic Director Richard Tognetti. In 1725 'Il cimento dell�armonia e dell�inventione' (�The Contest of Harmony and Invention�) would secure Antonio Vivaldi�s reputation for eternity. The first four concertos of this collection form what has become one of the most widely spread classical compositions in the history of music: Le Quattro Stagioni. Now Richard Tognetti and the Australian Chamber Orchestra, a team internationally recognized for its virtuosity, energy and individuality, has recorded their take on Vivaldi�s springtime birdsong, summer thunderstorm, autumn hunting and chattering teeth of icy winter. The programme also includes two typically Vivaldian slow movements, a Largo and a Grave, as well as a Sinfonia for strings originally intended as the overture of the opera La verit� in cimento (�Truth in contention�).